Renegade Plays Is On Tumblr, Facebook And Twitter Too! If your a fan of Renegade Plays (I sure hope you are), you can find me on Tumblr, Facebook and Twitter! I share all kinds of gaming related art, memes, articles and some quick thoughts as well. Soooooo! 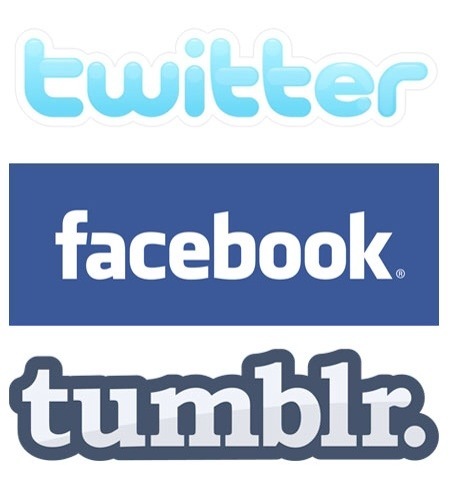 Just follow the links below to be a part of the community and like and share content. Telltale announces that episode 4 of The Walking Dead Season 2 will release on July 22. 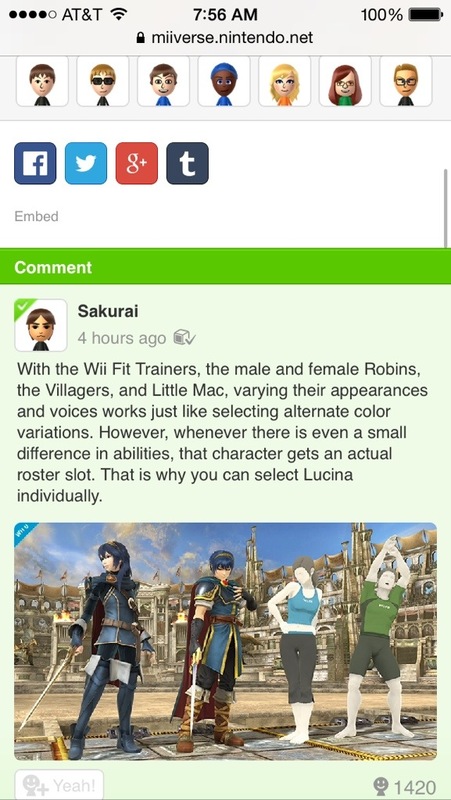 If you have been paying attention to Sakuari’s Director’s Room Miiverse (as any Smash Bros. fan should) you know he post up some interesting little tidbits of information. Today’s was all about newcomer Lucina. According to Sakuari’s statements above she can officially be counted as a clone of Marth, very much in the same vein as Roy was in Super Smash Bros. Melee. There are a few differences between the two, making her different enough to deserve a character slot. 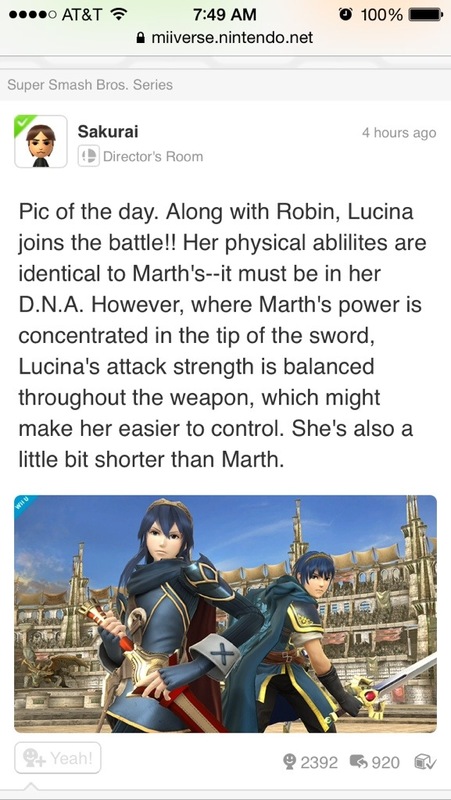 This officially quiets down all the silly and quite ridiculous notions that she was an alternate costume for Marth. Now I shall go back to Tumblr and Facebook to see more #poorchrom memes!